For our final week of training content, we’ll be focusing on using Forms to deliver quizzes and informal assessments, and highlighting other ways to measure and share student progress. There are 4 lessons this week so we won’t waste more time on small talk. Let’s dive in! 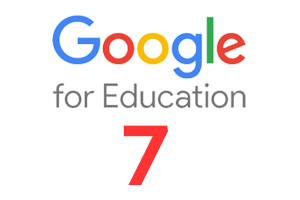 Now that you’re familiar with how Google tools can help you measure the progress of your students, check out these more advanced use-cases to expand your learning even further. Mrs Sanchez wants to improve her organisation in the classroom as she struggles with managing student information and classroom data. Use drag and drop to match the different ways she can use Google tools to improve her data management. You have recorded the percentage scores your students achieved in their last 4 maths tests. You now plan to analyse the data to review the progress of your students. Task 1: Open the “Maths Test Grades” Sheet and use the formula function to calculate the average score for each student. Task 2: Use the filter function to sort the students in descending order by average score. Task 3: Create and place 2 compelling charts from the student test data in the sheet. Task 4: Share the sheet with your colleague Mr Dunn.